‘Anthem’ feels like other loot shooters. Over the weekend, gamers were able to get their hands on and try out a little bit of the highly anticipated BioWare video game “Anthem.” A brief open demo — despite the name, it was really more of a beta — was available to anyone who wanted to give it a go. The demo started players off at level 10 and let them play until level 15. Players were given access to a couple of missions, some open world content and a stronghold they could beat. Additionally, players were given access to the Ranger Javelin, the suit of armor that players operate in the game, and another javelin of their choice (there are four in total). 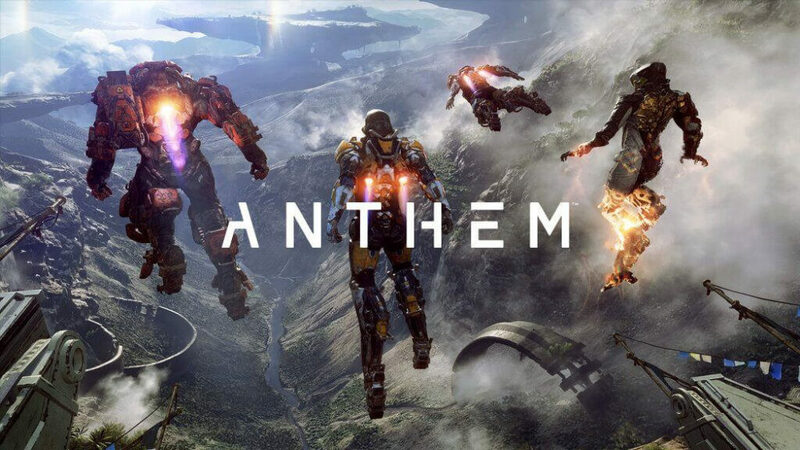 “Anthem” feels like Electronic Arts’ answer to the popular video game ‘Destiny.” It’s very much an online-only game that is filled to the brim with loot and elements to grind out every day, as well as an opportunity for lots of microtransactions. The care that BioWare puts into their characters and player choices are present in the game. The non-player characters feel fleshed out and do not lack the classic BioWare charm. However, the player choices that BioWare fans are used to cannot really be present in an online-only game. You can choose certain paths to go down or certain dialogue options, but the end outcome will always be the same and your actions don’t feel like they have a huge impact on the world. This could be just because it was a demo with a tiny slice of the full game’s content, but player choices found in BioWare games would be hard to incorporate into an online game, so don’t hold your breath. That being said, the game has redeeming qualities. The Javelins that you pilot feel like you were put in control of an Iron Man armor with all its boosters and ability to fly around the map. It really makes you wish it was an Iron Man game. The Javelins are also customizable with almost every part being able to be upgraded and color changed. However, this is where the classic Electronic Arts’ microtransactions come into play. Early glimpses of the microtransaction model reveal that they are selling different looking armor for $20 real world cash in an already $60 game. Though these rates aren’t finalized, they will most likely be close to this price point. Additionally, if you want to play the game you paid for a week before everyone else, you need a membership to Origin Access Premier, which costs $14.99 a month. If you just want to play 10 hours of the game and then be locked out until the official release, then you need an Origin Access membership, which costs $4.99 a month. Otherwise, you just have to wait until the official release date to get your hands on the game you have already paid $60 for. Sadly, this demonstrates a much deeper problem in the gaming industry nowadays with the over-reliance on microtransactions and getting every last penny out of gamers’ pockets. If loot shooters aren’t your thing, then you really will not enjoy this game. If you have a crew of three other friends or love loot shooters, then this was made for you. “Anthem” officially launches Feb. 22 or Feb. 15 if you pay for one of the two memberships.